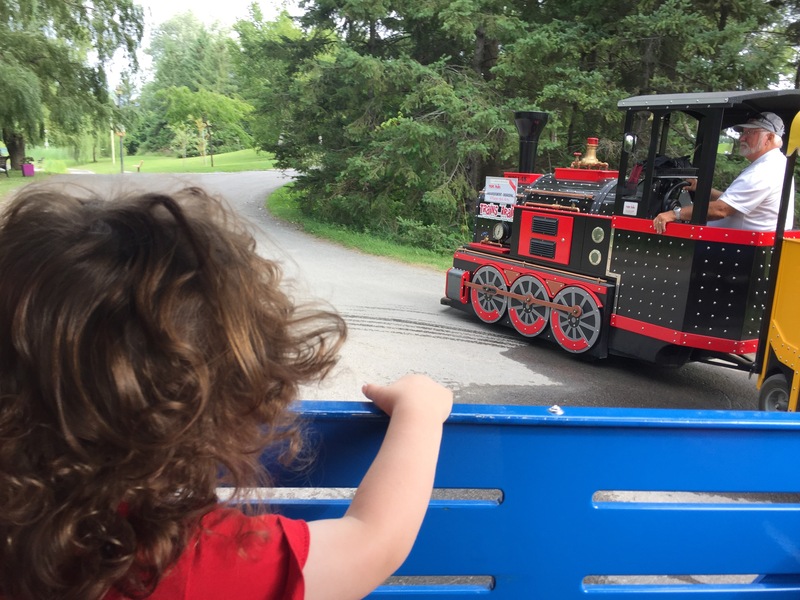 Looking for fun things to do in Montreal with a toddler can be hard. Things are either expensive, crowded, or simply not age appropriate. That’s why we were so thrilled to discover Centre de la Nature in Laval this summer. 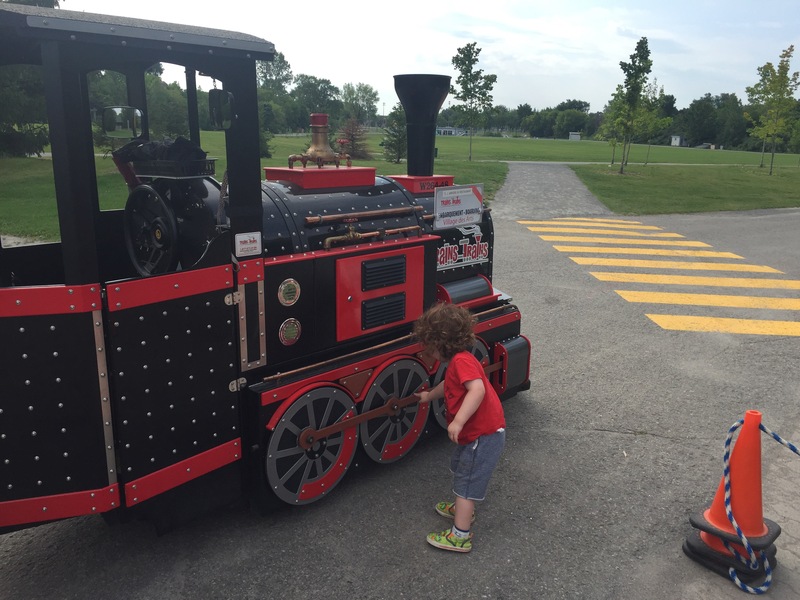 Located about 25 minutes north east of downtown Montreal, this park has it all! Admission is free, and there is lots to see and do. 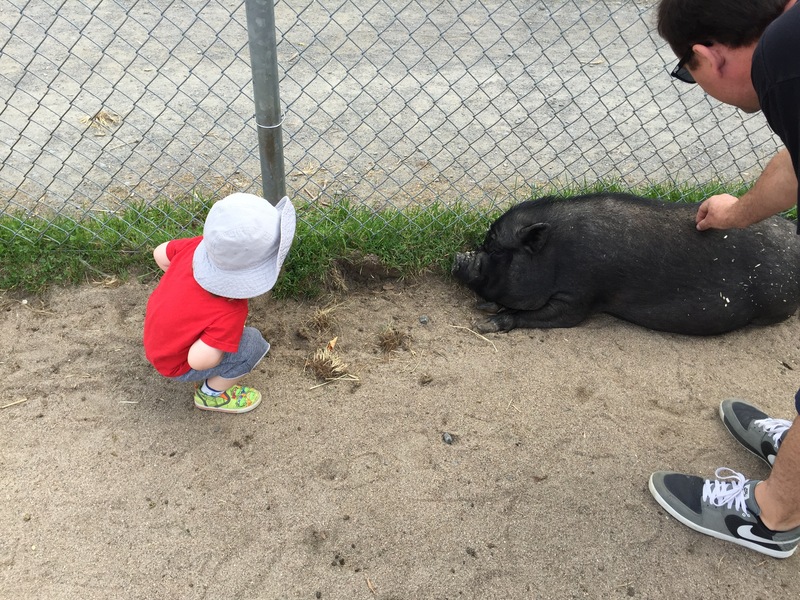 There is a free petting zoo with some amazing pot belly pigs! A huge play park, and endless walking trails. What was a HUGE hit for out little guy was the train ride. This mini train gives you a decent tour of the grounds (I believe it was around $4 a person). Our son got a great kick out of it and the “conductor” was super sweet with this kids. There are also pony rides, canoe and kayak rentals all available at a fee. We barely scratched the surface of things to do at this park and you could totally spend all day there. There was a snack bar if you wanted to buy something to eat, or you could easily bring a packed lunch. Parking is not free if you park onsite, but there is a lot of street parking, which is what we did. Let me know if you went and what your favourite thing to do was! They are open all year round so check it out!